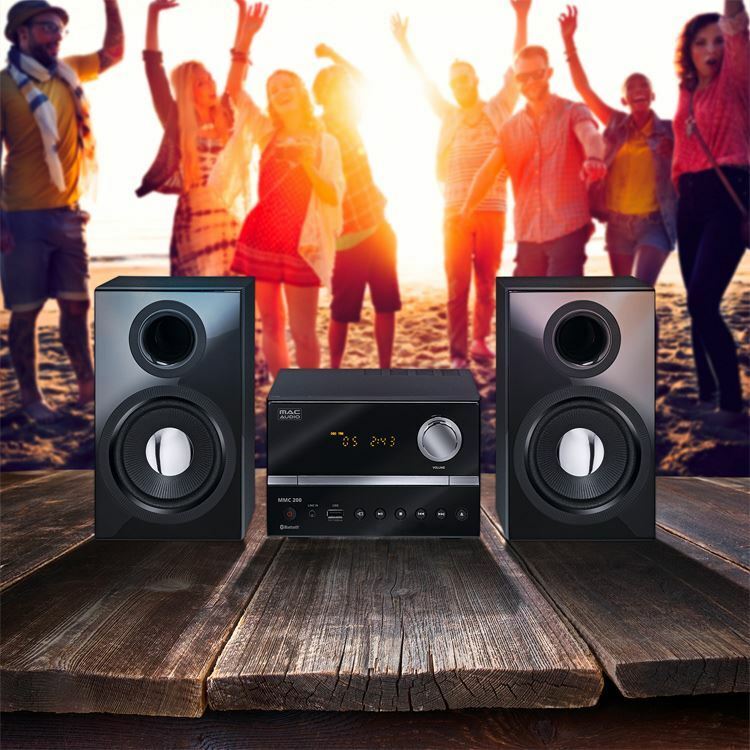 The elegant and modern design as well as the excellent audio performance are powerful arguments in favour of the MMC 200 micro-system with integrated CD player and RDS tuner. Ο κομψός και μοντέρνος σχεδιασμός καθώς και η εξαιρετική απόδοση ήχου είναι τα ισχυρά πλεονεκτήματα του Micro Hi-Fi MMC 200 με ενσωματωμένο CD player και δέκτη RDS. Παρέχει 30 προγραμματιζόμενες προεπιλογές ραδιοφώνου για σταθμούς FM και αναπαράγει τόσο συμβατικά CD όσο και αρχεία MP3. 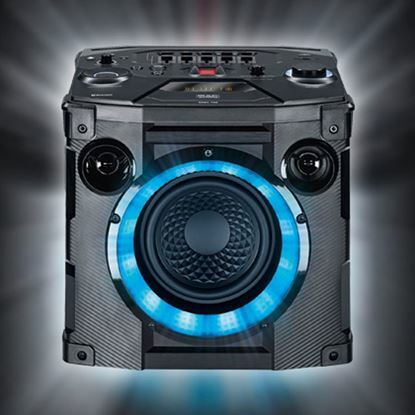 Συνδέστε το με το κινητό σας μέσω Bluetooth για εύκολη αναπαραγωγή μουσικής. Επιπλέον, το MMC 200 της Mac Audio διαθέτει επίσης μπροστινή θύρα USB και είσοδο RCA εξασφαλίζοντας εύκολη σύνδεση με άλλες συσκευές και πηγές ήχου. Διαθέτει equalizer για να διαμορφώσετε την ήχο όπως εσείς το επιθυμείτε. Στη συσκευασία περιλαμβάνεται τηλεχειριστήριο. Black is beautiful! 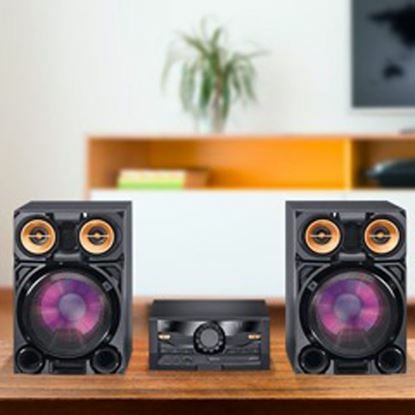 The black wooden enclosure of the loudspeakers and the matt black front panel of the system form a successfully designed unit in terms of looks. The MMC 400 is extremely classy in a timelessly simple design and attracts attention immediately even in a design-oriented living room. Modern and stylish describes the design of the MMC 70 mini-system, which makes a clear statement both acoustically and visually with its blue and red LED flashlights in the speakers. 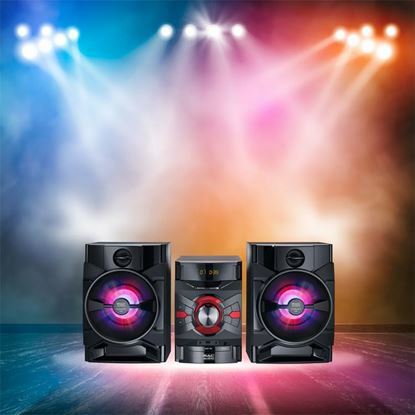 A full 200 watts of maximum power output ensures powerful sound and an exuberant party mood with the MMC 750. 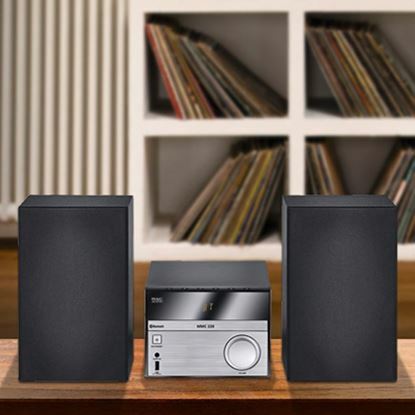 The new Hi-Fi system MPS 801 is stylish, flexible and delivers concentrated sound power.